Food trucks are the latest trend in the culinary world these days. 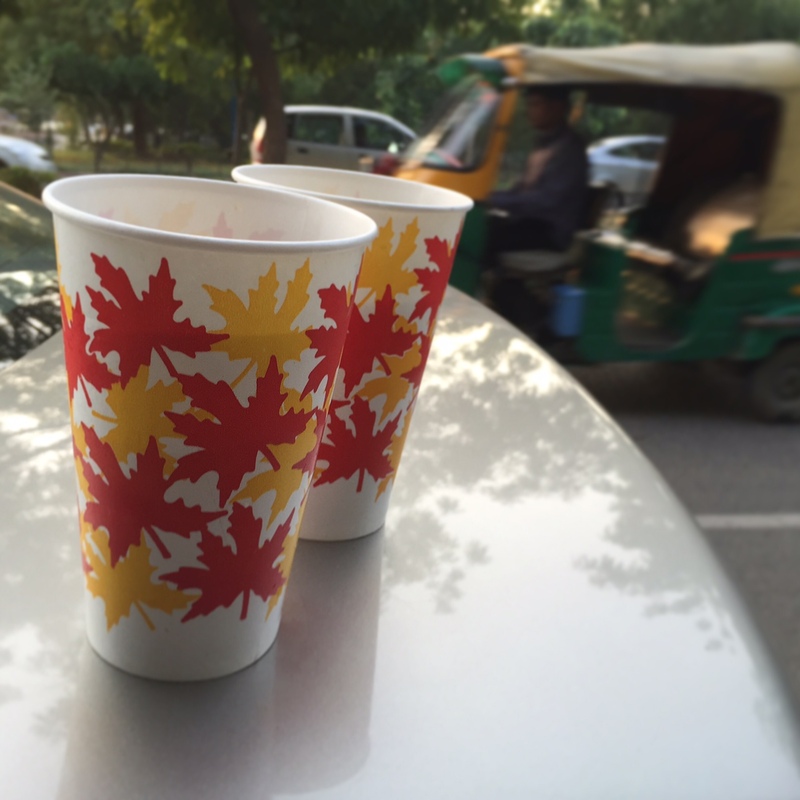 They’ve taken the idea of street food and made it not only mobile but have also managed to bring about a hint of experimentation and ingenuity to it. It’s nothing new mind you, for I remember eating Indian Chinese food from a number of permanent/parked food trucks while growing up in Delhi. The West has had Food Trucks for quite a few years. But, it’s the ever growing popularity of food shows on TV such as MasterChef, Eat Street, and quite recently the success of the movie Chef that the idea of food trucks has caught the fancy of both people who want to invest in them and those that simply want to eat from them. The name of the game in any business is being the early bird so that you not only get the pick of your worms but also stay ahead of your competition. Location is another aspect, but here it’s easy to move from one to another if things don’t work out. Eggjactly benefits by being amongst the first to truly adopt it in its purest form and then doing it right by having a social media presence. Personally, I expect a more active social media interaction from them but then paying attention to the food they serve is and should be a priority. 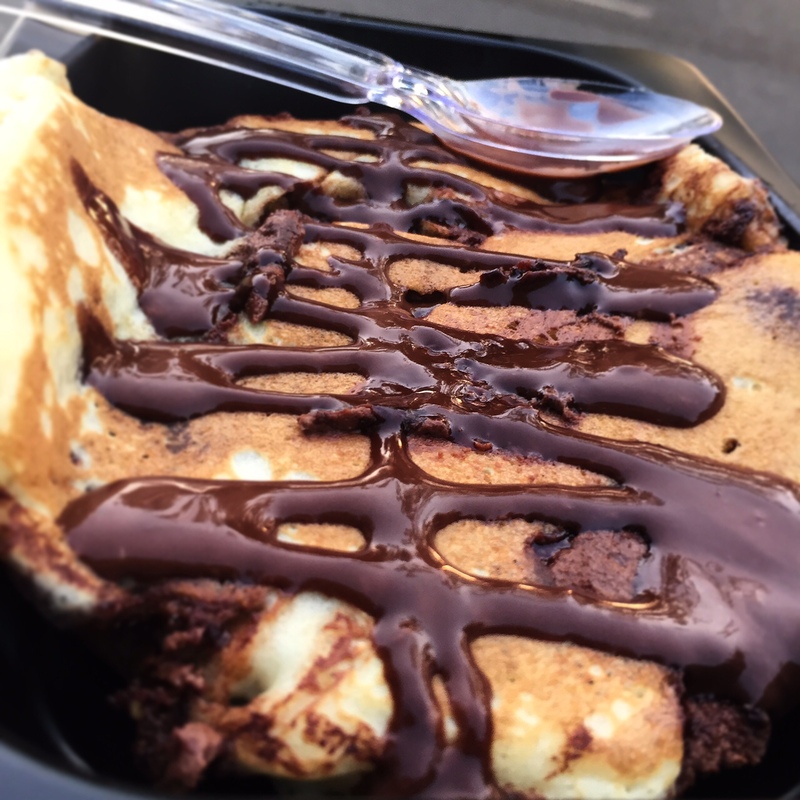 Food trucks, including Eggjactly, suffer from one dilemma. Their biggest advantage is also their biggest problem. Because they are mobile and because they work in a limited kitchen, everything is a tad spur-of-the-moment for the customer. It took me three attempts to finally get hold of the Eggjactly food truck. First time, they were parked someplace else. The second time, I called only to find they had packed up due to less traffic. As if to make the saying appropriate, I truly was third time lucky. I must say that although this guessing game of will-they or won’t-they can be a turn off for some, I actually like the mystery in it all. Parked by the side of Leisure Valley Park in Gurgaon, Eggjactly was busy serving a nice little line of people as we (friends and family) approached it at around 9PM; Managed to get road side parking in a jiffy and found the food truck very conventional in looks, which is fine. I could see four people inside working so they’ve obviously spaced it out nicely to make cooking easy. 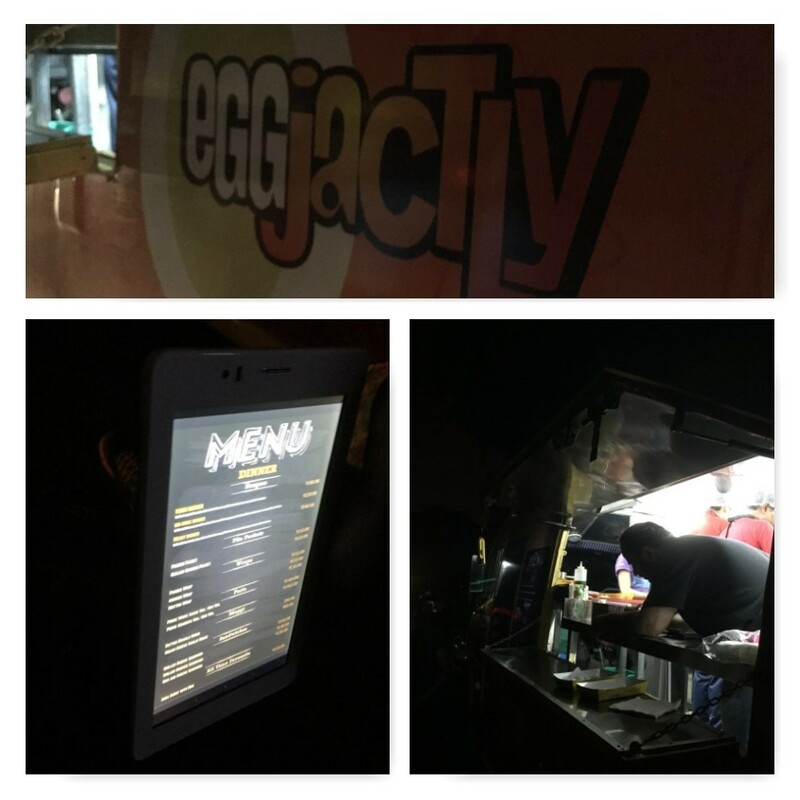 Eggjactly had a person out on the road helping the customers with the menu (which included having a digital copy handy on a big screened mobile phone/tablet). They were quick to inform us that non-vegetarian food was not available (probably due to Navratras) and that some of the other food items had also finished. The possibility of not being able to choose from the entire menu is a risk one should be ready to take when visiting a food truck. It’s expected and should not be complained about later, according to me. Having selected on a few things to eat we were surprised when informed that three of the four items we ordered were part of the “Buy One Get One Free” scheme. I’m glad Eggjactly does this and it’s a good way to finish off the inventory every night while making a few customers happy which in my case guaranteed them a few extra rating points. The Farm Burger was simply delicious. 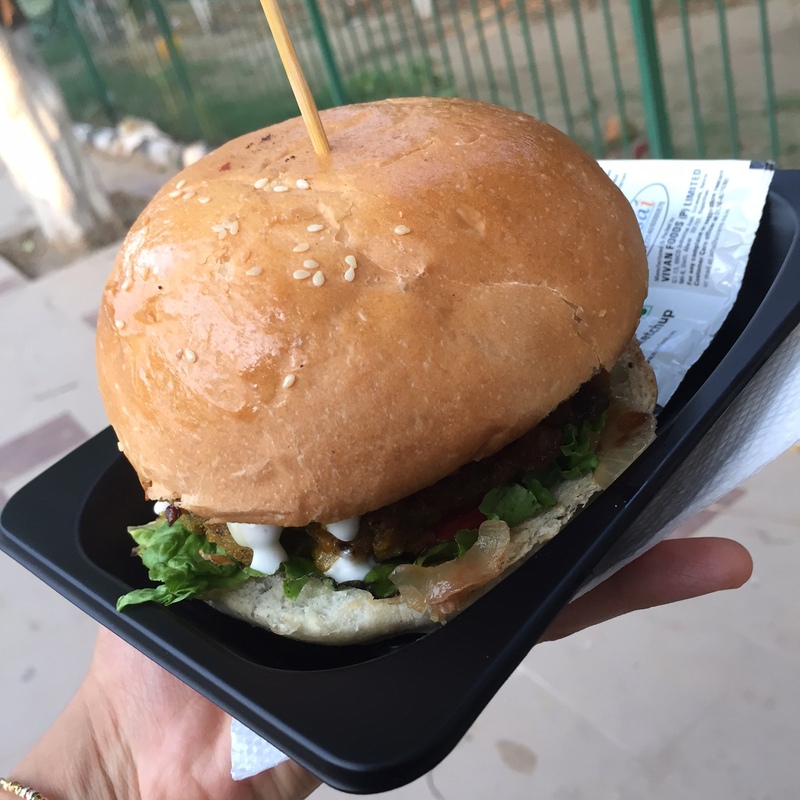 Served fresh with a hot tasty patty and soft buns, it comes under my favourite burger list in Gurgaon. The addition of Mushrooms was what clinched the deal, giving the Burger, which otherwise borderline tastes like a Delhi Burger, a punch that makes it unique. However, having it at a later date, it turned out to be on the spicier and hotter side. So, remember to request a less spicy one if that’s what you like. Next up we tried the Soya Wrap which had I not known could pass as a meat filled wrap. 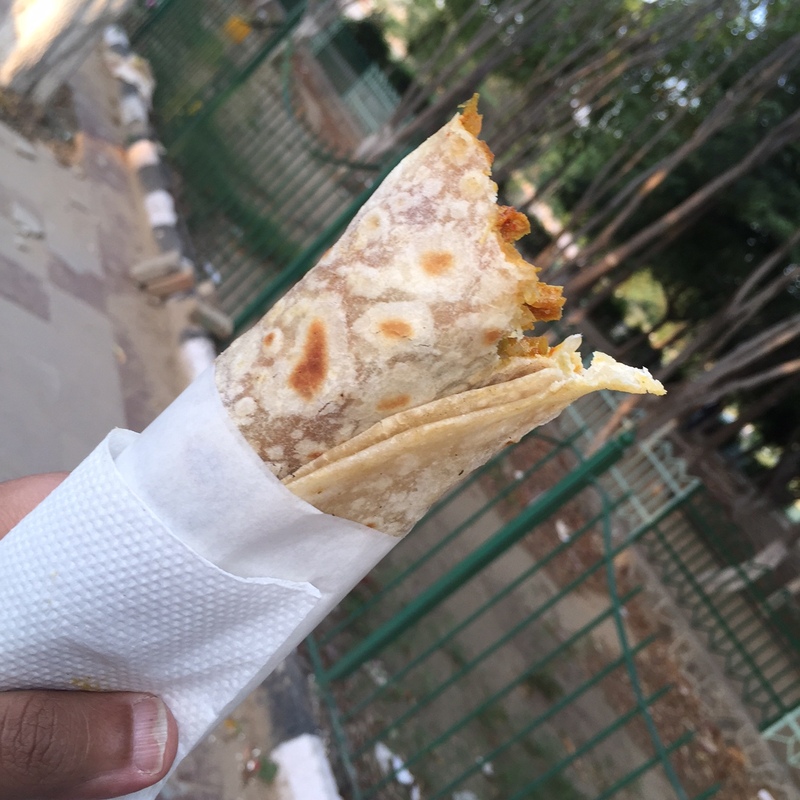 The mixture is a bit spicy but so tasty and juicy that even though I knew it was vegetarian, I couldn’t help but think of it as a couple of succulent Gaulati Kababs wrapped up in a perfectly cooked Parantha. The kids had the vegetarian pasta with white sauce and olives. They enjoyed it but I found it a tad bland. Having said that, if the pasta was spicier, the kids wouldn’t have eaten it at all, so, try it and make your own mind. The same stands true for the Masala Butter Maggi. Rich in taste, spicy, and definitely recommended if you can’t live without Maggi, although personally Eggjactly has a lot more to offer and I’d rather have that before I eat the Maggi. Now, the entire dinner turned out to be extremely cheap, keeping in mind the one plus one free scheme. 2 Burgers, 2 Wraps, 2 Pastas, and 1 Maggi was in the range of Rs. 500. The proportions were good. Even if you don’t have the scheme and the lot costs in the Rs 1000 range, I’d still say this was a bargain because the food is exciting and entertains the tastes buds like all good food should. However my one recommendation to Eggjactly would be to have a few items that are unique to them. 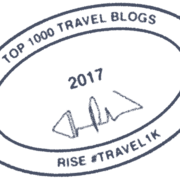 It can be a sandwich or a burger or something else, but as long as it is different, a signature dish if you may, with ingredients that others don’t normally use, it can do wonders by being the USP of the truck. Just a little something for the management to think about. The biggest compliment any restaurant can get is a repeat customer, and one who brings along new people. So, having had a successful first time, here I was again at Eggjactly ready to sample more of their food. As stated above the Soya Wrap was equally delicious but spicier than I remember and the same was also true for the Farm Burger. Not being a huge fan of hot food, it’s always a good idea to let your preferences known to the chef beforehand (which was not the case this time). But, as if the food Gods were paying attention to us, the Crunchy Chick Burger that followed was simply amazing. A nice juicy crunchy chicken breast (I’m not that great with the cuts, but I think it was the breast) and messy fillings including some jalapeños that added a lovely zing to the burger made this one of my favourites, knocking off the Farm Burger which I had cherished on a previous occasion. 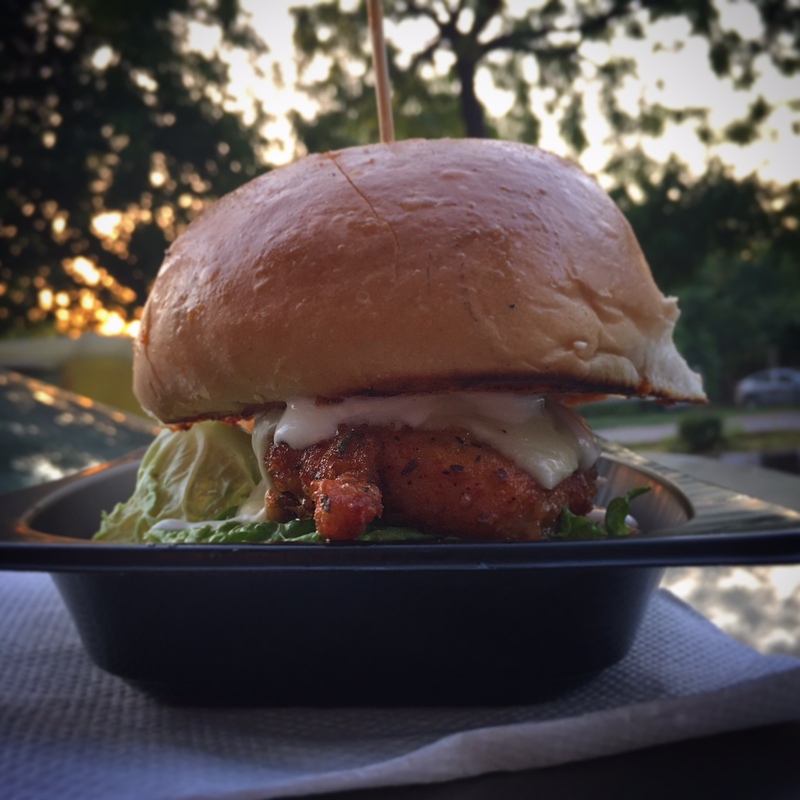 The Chick Burger was perfectly spiced and being messy turned out to be finger licking good by default. To end it all, we had the Ice Tea which was pretty much run of the mill and the Nutella Waffle. The Waffle was crunchy on the edges, moist in the center, and was served hot with almost bubbling Nutella on top. I do wish there was some whipped cream alongside that would have taken the simplicity of this dish to another level. 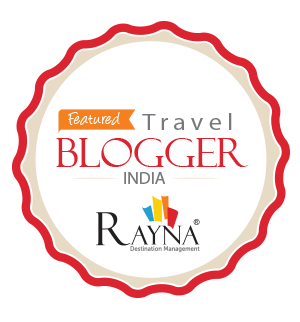 One of my fondest childhood memories is of going to Connaught Place in Delhi with the family and having either food or just Ice Cream in the evening (Hot Chocolate Fudge at Nirulas anyone?). We’d all get what we wanted and have it in/by the car. 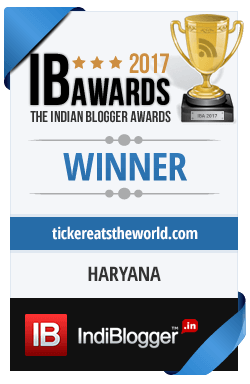 Times have changed and living in Gurgaon there aren’t that many places where something like this can happen. So, I’m rather happy to see this new trend of food trucks come up which sort of gives me the opportunity to enjoy some impromptu road-side eating and maybe it’ll be something my kids will also remember and cherish. yeah i had read about this in Sunday brunch, but never bumped into these. good post ya! Tx for your review, this food truck is on my list too. Missed it on my last outing as they were out on a party booking. Hey, it’s one of the earliest food-trucks in the city and according to me also one that experiments with food the most, so yes give them a go whenever you can. What the Truck? is another one of my favourites,that I recommend trying.